From today the Vespa Club Mantova has 10.000 friends more. Thanks to all the Vespisti flocked from all over the world for these unforgettable days, thank you for the trust you have given us and for the friendship, thank you for the happiness that you have infected, thanks for the wonderful and estimate claims for the applause made to our work. Thanks to the Vespa World Club and the Vespa Club of Italy, all the Presidents of the national and local Vespa Club who worked at our side, thanks to the volunteers and professionals who have guided us. Thanks to Piaggio, to the sponsors and partners who have supported us. Thanks to the institutions that have watched on our and your safety and to those that with their support made possible the event. Thanks to all of you who have walked with us, made the Vespa Village and traveled to discover our beautiful land and all those who with commitment and dedication have made it possible to materialize this dream called "Vespa World Days 2014". We remind to comply with the rules of the road, because the police will make no exeception! Drive safe! 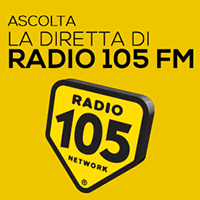 We advise to all Vespisti friends which will come to Mantova and are not registered at VWD, that they should park in the Campo Canoa parking in Lago Inferiore locality Sparafucile. From there we suggest to reach the Vespa Village, that is far only 800m, by shuttle service to Mantova downtown. of the member of the Vespa Club that can't come any more. but anyway the new participant will receive the welcome kit and the badge. 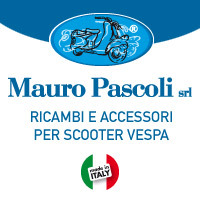 All participants to the Vespa World Days 2014 for the duration of the event will be reserved for the free vehicle recovery service in case of stationary vehicle offered by Piaggio & c. S.p.a. The service will be operational in the days and at the times of the event (from 2pm on 12 June at 3pm on 15 June) and will be available when the participant comes into possession of identification badges; you will find in the program of the event that will be included in the welcome kit all information and instructions for the use of the service. Note: If at the time of withdrawal, the participant will not be able to show the badge, the service will be paid. to their club's email address the name voucher that confirm the registration. and be shown at the info desk tour. that have bought the Camping Package. together with and ID card. in order to reach Village, parkings and camping in an easier way.